On average, the United States has over $850 billion of revolving debts and more or less 98% of this amount is associated with credit card debt. In fact, lenders are showing more debts recorded compared to borrowers being able to pay their dues off. A major reason of this would be because of several misconceptions regarding on how to use a credit card. A common consumer may tend to look at it as just another piece of a plastic card that they can use whenever they’re out at the mall, renting a car or just for the sake of gathering points or rewards. What they do not understand is that a credit card entails a lot of responsibilities that should always be looked at. Exceeding your allowed credit limit. This will mean a dramatic increase of penalty and interest rates, which eventually makes it harder to pay on time. Not being able to pay when you are supposed to. A credit card bill should always be paid on or earlier than the due date. Missing a payment or even just being late will affect your credit score, not to mention the negative impact to the interest rates as well. Spending more than what you can afford to pay back. A credit card holder should always be wary of how much he/she is earning and if that earnings can still manage to allot a certain portion of credit card bills. A good way to manage your finances is to keep track of all your credit card purchases, no matter how big or small the amounts may be. That way you are able to check and see if you are near to reaching our credit limit. It would also be wise to avoid making cash advances using your credit card, as this action can actually implicate higher interest rate compared to those of banks and other financial institutions. As much as possible, it is highly recommended to set up an emergency fund that you can use in case you are running out of cash. Through this, you can limit the activities associated with your credit card. In return, you will never have to worry about debts that you are not able to pay, at the same time you can build a good credit history which can definitely make your financial life easier and more convenient. Having a credit card does not mean having to worry about bills and debts. A responsible card holder certainly can agree with that. Always remember that credit cards are there to make our life easier and not the other way around. Moreover, Your Personal Financial Mentor can be very helpful in taking the necessary precautions that you need when you use a credit card. 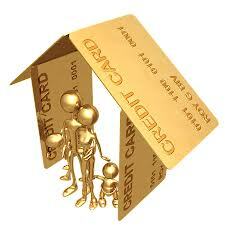 « Credit Card: a Necessity or a Luxury?